In keeping with the spirit of posting about certain numbers, I thought I’ll carry on until the novelty has worn off. Don’t worry, this is not about me moaning re: my age again. My youngest sister Charlene got into mod music for over 2 years now. She even made me get a few Paul Weller CD’s and DVD’s. Right now, she’s into vinyl records. 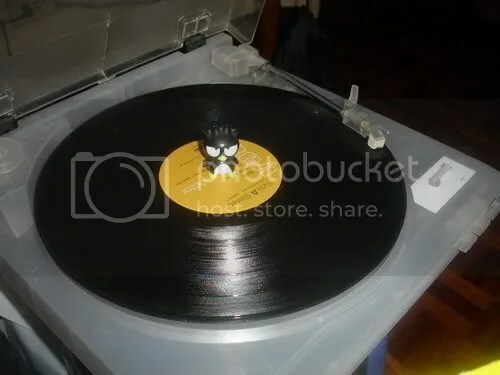 As you can see from the above image, she even got herself a turntable and she is really gaga over it. Since I am coming home in August, he’s been trying to haggle vinyls off me and have even given me a list of what she wants. I have seen shop called Haggle Vinyl in Islington and might pay them a visit. Now, I haven’t used my blog for personal gain but you my dear readers might be able to help me. If you happen to have the ff. albums in your collection, or know somebody who has it and was thinking of selling it (or better yet giving it away for free! ), please reply to this post and will work out the other details by email. My friend Morbius has already kindly given me 10 albums. I am now posting my sister’s list of vinyls she must have. For one thing, I am not getting her everything in the list, it all depends on how much it’s going to cost me! I remember saying to her that this is just a phase and that she will get it over it eventually, and I know if I had seen her face, she would have said the following words without batting an eyelash; is your theatre watching also a phase? I rest my case. Let’s go and haggle them vinyls! Alas though I had none of those artists on record, though I used to have several Who albums on vinyl. and Curtis Mayfield but alas not on Vinyl. I do though have quite a few other Vinyl Albums by other assorted artists Charlene could have if the difficulty of transportation can be resolved. yeah i love “heatwave” too and loved it even more when i heard the who playing it! that’s the same thing sheila said, that she has beastie boys, the clash, et al, but on digital. lol. Have you mailed those yet?